The beauty industry is filled with excitement this time of year because everyone has eye-catching goodies coming out for the holidays. One of the brands I always have my eye on is Japonesque. I feel like they get over-looked many times, but not in this post! Whether you need larger gifts or stocking stuffers for the beauty lovers on your list, Japonesque has you covered. 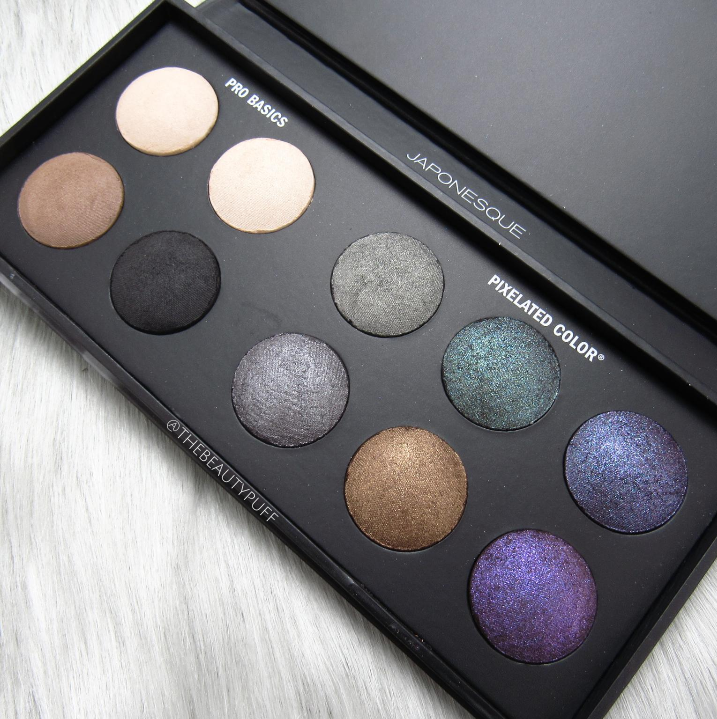 Pixelated Color Eyeshadow Palette | $38 | There are a lot of gorgeous palettes out there with fancy packaging... but we all know it's what's on the inside that counts! 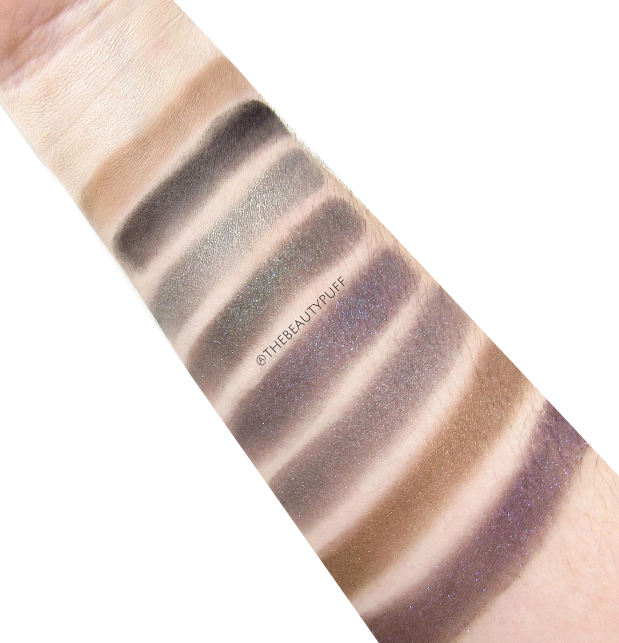 This palette has 10 baked shadows - four Pro Basics and six Pixelated Color shades. The Pro Basics include a matte ivory, shimmer ivory, matte brown and matte black. These are the basic shades you'd reach for when doing a colorful, vibrant look to achieve balance. Not only do I think this is practical, but it makes this palette so much more usable if you're traveling because you have everything you need! The six Pixelated Color shades are buttery smooth and give that "wow factor" you want for all your holiday looks. Just look at them! The swatches above are taken without any primer. You can see how gorgeous these shades are and the beautiful finish of the Pixelated Color formula. They are just so creamy and unlike any other baked shadow I have tried. I've used many of these for one shadow looks and they really pack a punch but blend beautifully as well. You'll fall in love with one swipe, they're stunning. 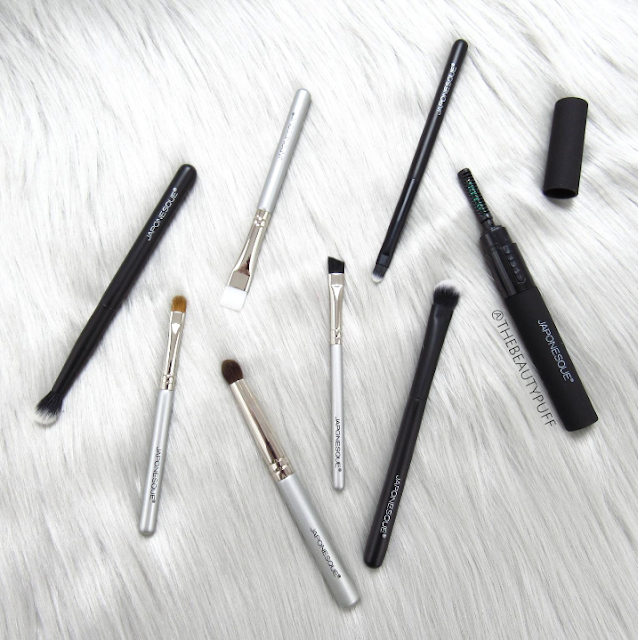 Stocking Stuffers | Because every girl needs brushes with her new palette right? Japonesque has a great selection of full size and travel size brushes for those on your list, or to revamp your own collection. I have some of their full size brushes but these travel sizes have come in really handy lately! They can be thrown in your purse for touch-ups or packed in your makeup bag on your holiday vacation. Not to mention they make thoughtful, practical, and fun gifts! Japonesque also makes a sleek heated eyelash curler which can be used before or after you apply mascara. Its slim shape also lends itself well to traveling so you won't be wasting precious space this holiday season. Check out these, and more Japonesque goodies on Ulta's website below. Happy holidays!